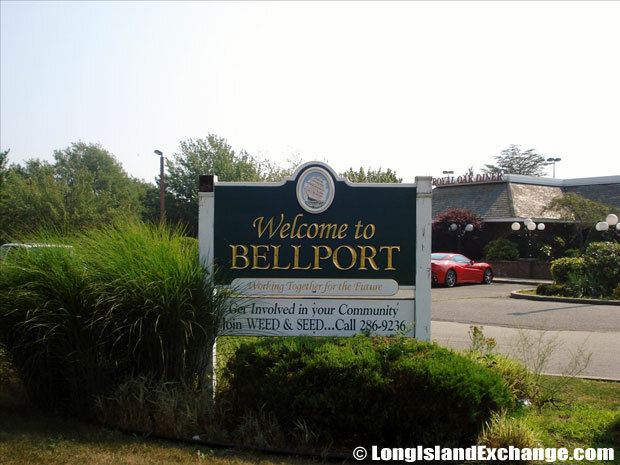 Bellport is an incorporated village located in Suffolk County, on the South Shore of Long Island, New York. It is within the Town of Brookhaven. The village is governed by 4 trustees and a mayor. Recently, the village board voted to allow the construction of a cell phone tower disguised as a flagpole to be built on the golf course. The affluent Village of Bellport is located on the shore of Bellport Bay, an arm of the Great South Bay and several miles south of North Bellport, an economically depressed community. 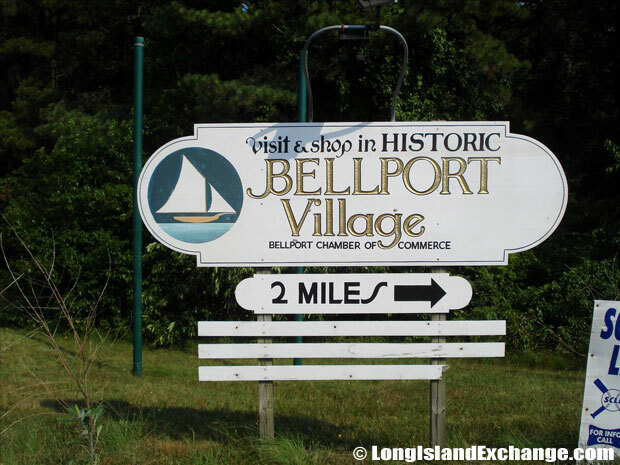 A sign welcomes visitors to the incorporated Village of Bellport, located in Suffolk County, on the South Shore of Long Island, New York. 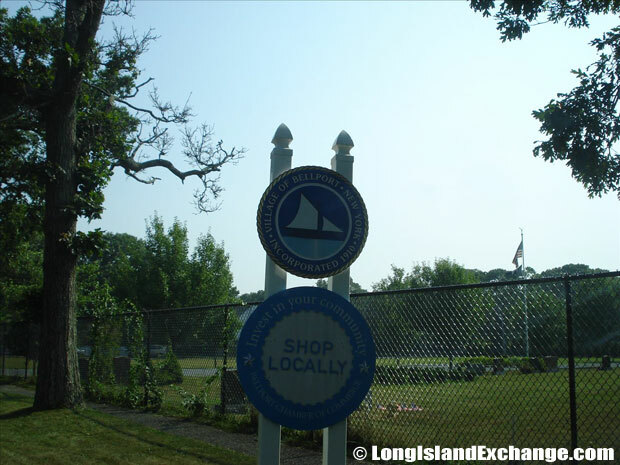 Bellport Village Historic District includes the Village Hall, Bellport Community Center, the former fire house, and a museum/exchange shop built in 1890, as well as other structures. It was added to the National Register of Historic Places in 1980. 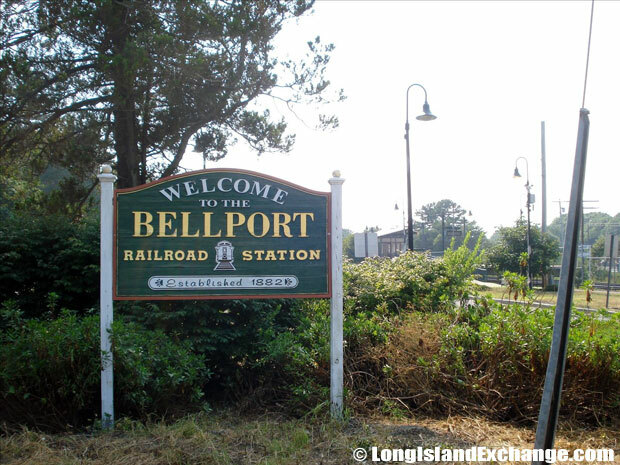 The Bellport rail road station is an unmanned station along the Montauk Branch of the Long Island Rail Road, at Bellport Station Road and Montauk Highway. As of the 2010 census, there were 2,084 people, 890 households, and 624 families residing in the area. The median income for a household in the village was $83,609 and the median income for a family was $87,550. Males had a median income of $58,659 and $44,921 for females. The latitude of Bellport is 40.756N. The longitude is -72.939W. It is in the Eastern Standard time zone. Elevation is 26 feet. Spicy’s Barbecue Restaurant offers residents wings, ribs & other Southern BBQ fare in bare-bones, counter-serve digs ideal for takeout. Bellport was founded by Captains Thomas and John Bell during the early 19th century, as a seaport. The village was incorporated in 1910. 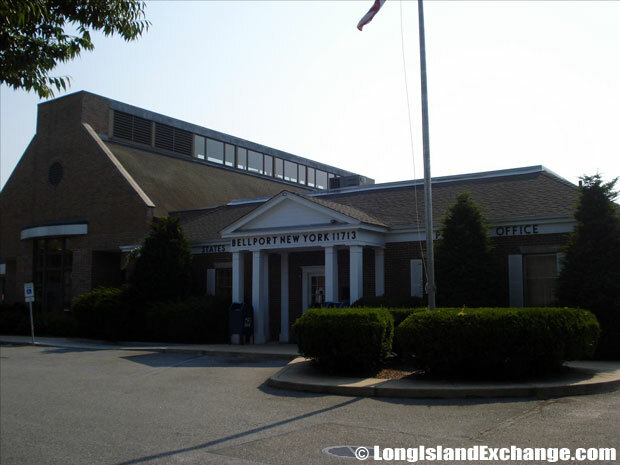 The Bellport Main Post Office in Bellport, New York. The village was a former fishing and whaling village before it became a vacation location and home to the historic Gateway Playhouse. Bellport was named after settlers and brothers Thomas and John Bell. Bellport began as a modest outpost of farmers and seafaring folk. Most of the homes that still line Bellport Lane were built by sea captains. The invention of ball bearings by Oliver Perry Robinson in his wood shop was considered a big factor in the industry. In 1906, Bellport Bay Yacht Club was founded and exemplifies the rich sailing history of the village. 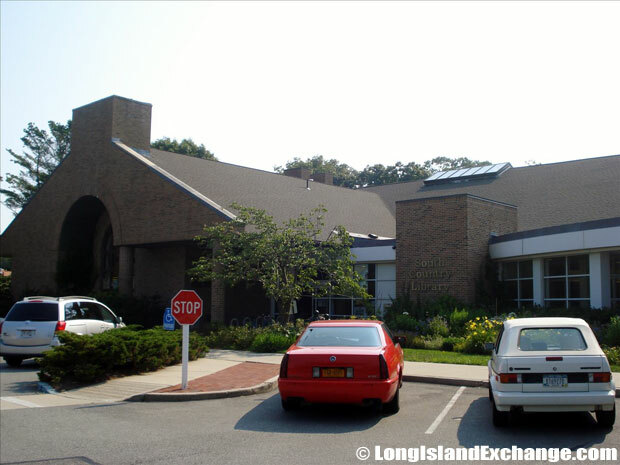 The BBYC has hosted many national sailing events and is one of the more active yacht clubs on the south shore of Long Island. In addition, the South Bay Scooter Club occupies the BBYC building over the winter months. 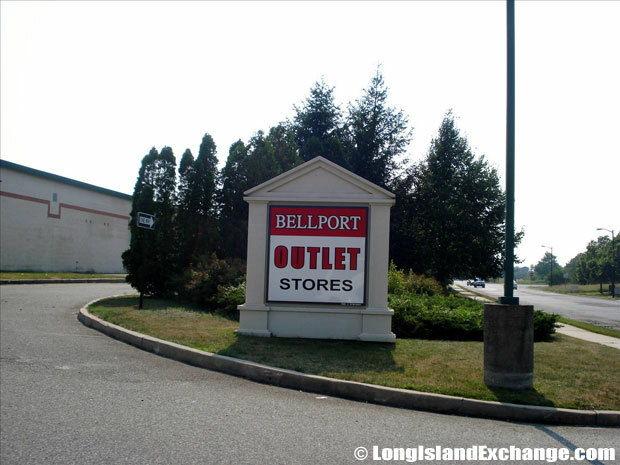 The Bellport Outlets has 21 name brand stores and factory outlets and is located at 10 Farber Dr, Bellport, NY. 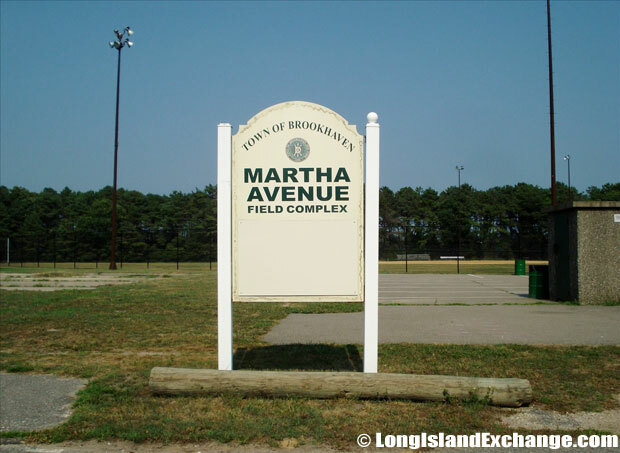 Martha Avenue Recreation Park, the site of a former landfill. Notable residents include Tiki Barber (summer house), E.B White (author), William Glackens (artist), and William Weld (former Governor of Massachusetts). About 20% of Bellport residents report Irish ancestry, and 19% report Italian. Bellport is served by South Country Central School District consisting of six schools, three elementary Schools (Kindergarten-Grade 3), Frank P. Long Intermediate School (Grades 4-5), Bellport Middle School (Grades 6-8), and Bellport High School. 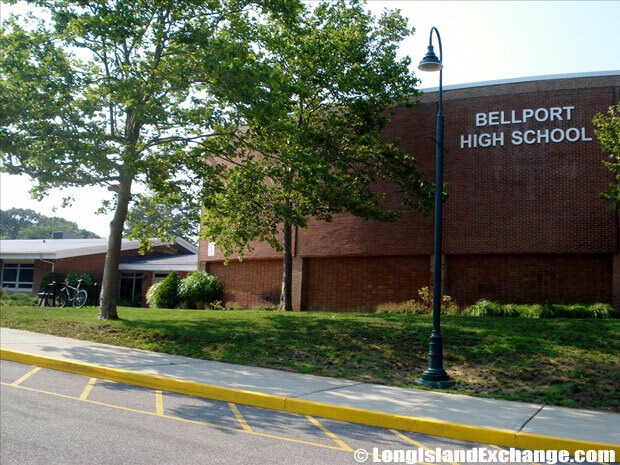 Bellport High School, part of the South Country Central School District. 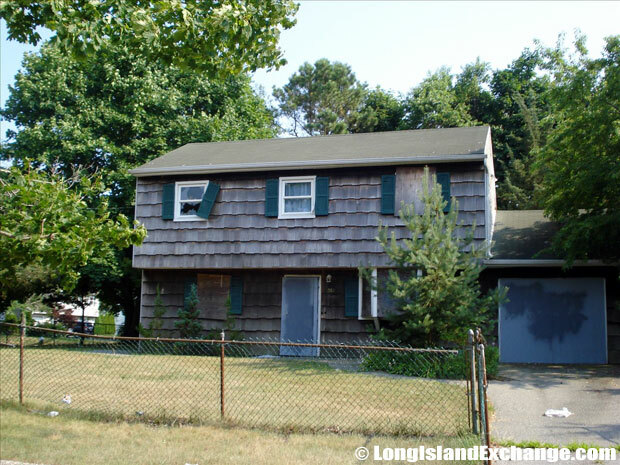 A likely foreclosed home in Bellport. 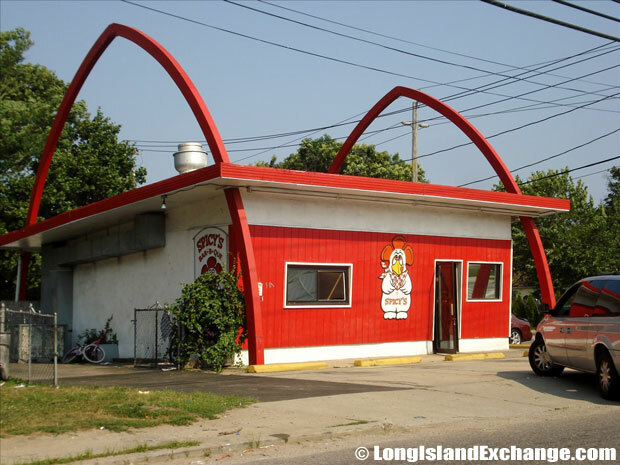 The unemployment rate as of June, 2012 in Bellport, NY, was 7.00%, with job growth of -1.47%. The residents enjoy a quiet yet active lifestyle where there is special Senior and Youth Programs, a private ocean beach open only to residents, and to a breathtaking country club where all residents are automatically members. Bellport’s Country Club also offers golf, tennis, fine dining and carefree socializing in elegant surroundings at special resident rates. The Brookhaven Free Library, it serves the entire South Country Central School District. In September 1893, 32 men met for the first meeting of the newly formed Bellport Hook and Ladder Company. 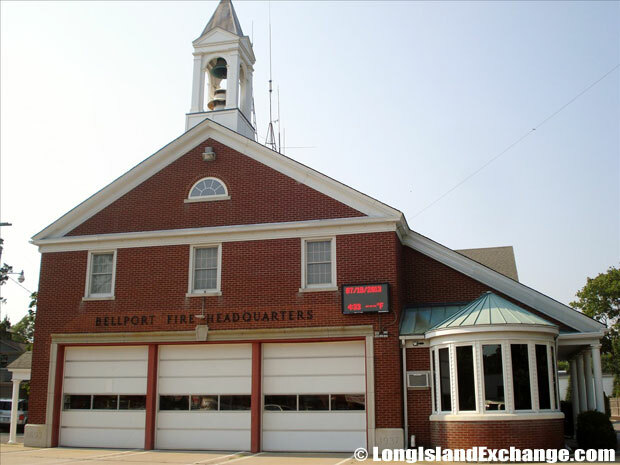 Bellport Fire Headquarters is located at 161 South Country Road, Bellport NY. The Bellport Village Hall is places where all “behind the scene” things take place that make the Village what it is. Also a right place to deal with any governmental agency on an official level. The Bellport Village Marina is a famous spot throughout summer. There is an area for fishing and crabbing that residents makes their usual past time for a day and bandshell for summer concerts take place as and after the sun goes down.